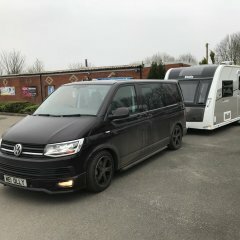 Say hello and introduce yourselves to the Caravan Talk community! This is where to post your more serious general questions and discuss caravan related topics not covered by other sub-forums. Please use specifically named forums where possible in preference to Caravan Chat as this make it easier for members browsing a topic. Discuss and comment on towcar, caravan and site reviews by our members in the reviews forums. Unfortunately our main website is being updated and so links to reviews there are currently disabled. 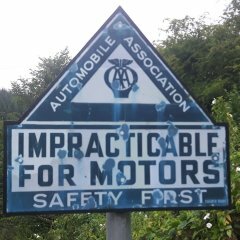 Share your caravan restoration projects and share repairs advice. Adria/Fleetwood caravans and everything about them. If you have an Elddis, Compass, Buccaneer, Xplore, Avanté, Odyssey, Crusader, Autoquest or Aspire? Let us know about them! A place for Hobby owners to exchange ideas. For all your Eribanauts out there, a place to talk about your Eriba caravans. Talk about Lunar caravans here. If you own a motorhome or campervan please support our sister site by following this link and contributing to "Motorhome Talk". You will have to register separately but you can use the same profile name and password you have for Caravan Talk if you choose. Indeed. Speed limit signage has become sloppy and erratic ever since a court case some years ago which undermined the old rule that 30 mph was the limit if lamp-posts and/or repeaters were closer than 200 yards. [The court prosecuted a motorist doing >30 when the posts were 210 yards apart, or something like that]. Now there are sometimes such long gaps between repeaters that it becomes unclear what the limit is, especially when other cars are piling up behind you or overtaking at much more than what you thought the limit was. There is a fork in a 30mph road near me where the left one (a minor country lane) has a de-restriction sign so close to the fork that anyone who did not know the area would think it applied to the main road to the right. The de-restriction sign is visible before the minor road itself is visible. I would be a nervous wreck trying to rely on an automatic speed contol, or any form of self-driving. I would constantly be second-guessing the system and making decisions whether to intervene. It would effectively double the stress because I would need to make two judgements instead of just one :- (1) I would need to decide what to do if I were driving manually, and then (2) I would need to decide how long to leave things before I intervene. Hi All, Has anyone used the Braemar Caravan Park lately, and used 3 mobile (I need signal when on holiday) ? Thanks all. It's been a while since my original post but I thought i'd best provide an update for anyone interested.... In short - i'm no longer a Volvo owner! After 9 months of 'investigations' and me pushing back on numerous occasions after being told by the dealer, Volvo UK and Volvo Sweden there was no problem with either my vehicle or the towbar, Volvo finally admitted that their retractable towbar does not comply with EU regulations when fitted to a V90 with self leveling suspension, and is effectively an illegal part... They are apparently now designing & testing a new towball for self-levelling V90's (and I suspect many other air suspension cars in the range, as the XC90 courtesy car i had was exactly the same!) but i was not prepared to wait over a year from first reporting the issue for them to rectify it. I have asked Volvo numerous times what they will do for the thousands(?) of cars with illegal towbars already fitted, but have not received a straight answer... If you have a Volvo towbar fitted to an SPA car with air suspension I'd urge you to check your vehicle and if it is affected, make sure you report it to your dealer!! So I've now had a full refund and gone and bought a replacement vehicle from another manufacturer - there are aspects of the V90 i'll miss but the towing experience is certainly not one of them!! Yip, the whole section is an object lesson in why speed alone is not the only factor in causing accidents - far from it! Won’t be long before the new A14 is open, the progress has been fantastic to watch.